Those hidden feelings, what are they trying to tell you all along? 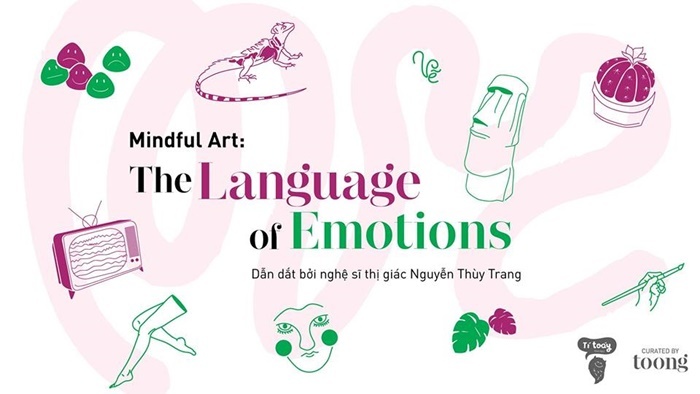 Designed by Toong and Tí Toáy, the workshop series Mindful Art | The Language of Emotions is a liberating art space where the hustle and bustle is laid aside, giving place for emotions. Natural aromas recreating a whole range of memories. Impressive lighting opening your eyes to new perceptions of colors. Creative materials go beyond lines and shapes. All are designed to reactivate your senses, explore those long-hidden emotions, making art a language for each person to connect with their personal emotions. “Art is the best way to freely express yourself without words” – visual artist Nguyen Thuy Trang (Trang Nart). Coming back after an intensive training course on Art Therapy at Academy of Human development – Singapore, Ms Trang founded Tí Toáy Therapy with the aim to bring “Art Therapy” closer to Vietnamese community.